We are pleased to have received a copy of a photograph from Stuart Ramsdale which he discovered in Teesside Archives (reference U.DL/30/21) This photograph taken by J.G. 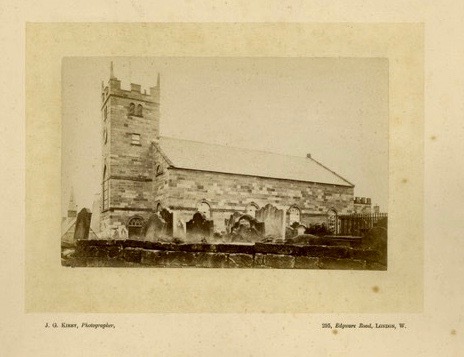 Kirby, Photographer c.1875 shows Saint Leonard’s Parish Church Loftus as designed by architect Ignatius Bonomi, before the chancel was rebuilt in 1888 by William Watson and the nave was largely rebuilt in 1900 by Clark and Moscrop (of Darlington) and may be the earliest photograph of Saint Leonard’s that we have seen! Note the absence of the Town Hall, which opened in 1879.